A new season, a new bunch of innovative running shoes and a new way to entice us to buy and lust over more things we really can’t afford. 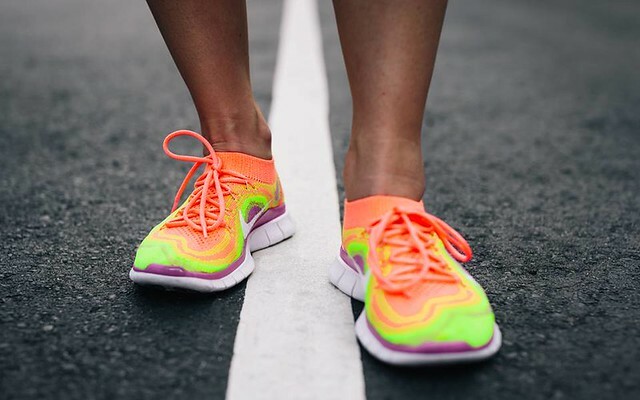 Unless you’ve been sitting under a rock, or not connected to social media in anyway (we salute you), you’ve probably been roped into the hype and hoo-ha of Nike’s latest running shoe, The Free Flyknit. A hybrid of the Free silhouette and Flyknit technology, this is set to be the shoe of the summer. 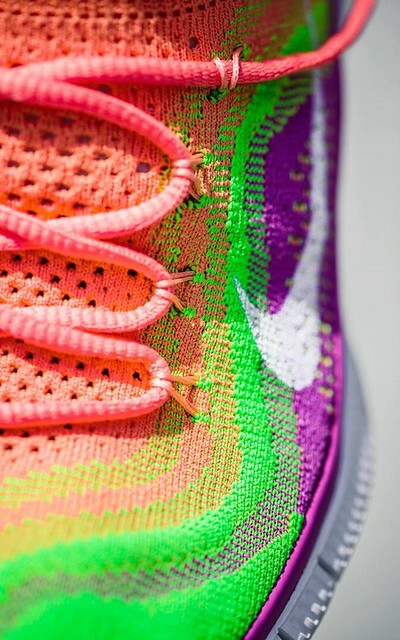 We’ve already seen about 15 different colourways of the shoe already, and it hasn’t even been released. We've already picked out my favourite, have you? 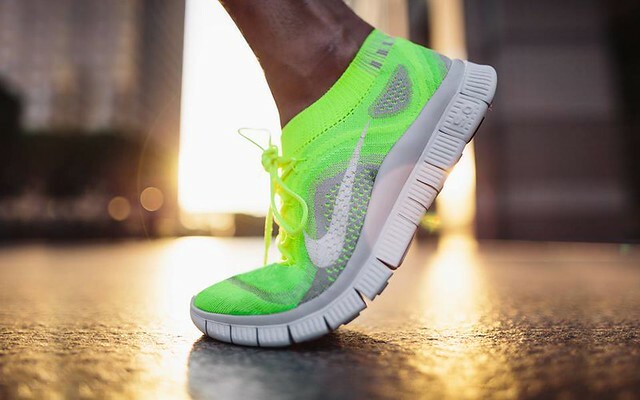 The Free Flyknit is part of Nike’s latest design ethos of ‘Nature Amplified’ – their approach to designing products based on the way your body naturally moves and performs. Nike’s innovative collection of shoes and apparel goes back to the roots of running with the intention of improving what nature gave us. How well will they actually perform whilst running, we are yet to know. There is still a couple of weeks left until the shoe is officially released, but for now, we are loving the aesthetics of the shoe. Yes, we all agree it looks like a sock with a sole. It’s supposed to fit and feel like second-skin (a sock then eh). Not ideal when it starts to rain, but who is thinking about rain during’s London’s heat wave. We welcome you Free Flyknit and your cosy, comfy looking ways. The array of colourways and psychedelic multi-coloured patterns makes this shoe versatile enough for to go from running the streets of London to rocking casually on the streets. 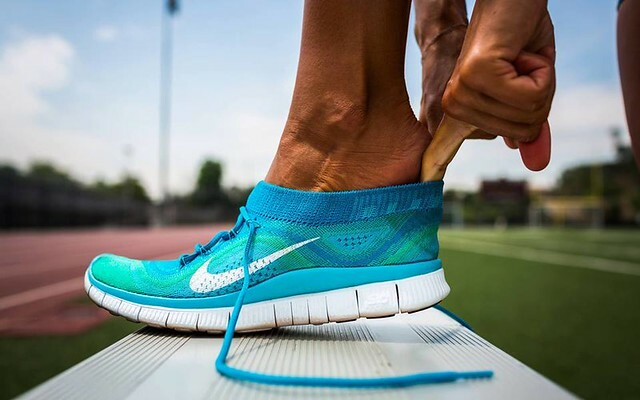 This is why we love Nike running shoes, being able to wear shoes which can easily transition from running shoes to causal fashion shoes is vital for the active Londoner. Ain’t nobody looking to rock chunky runners to the cllluurrrrbbbbbb. The collection is available for pre-order at £130 and set to be released on August 1st. Be sure to check out the limited City Pack collection, and read more about Nike’s latest collection and design ethos here.